1. This week I have the weekend off, and to be honest I'm so excited to relax, sit back and basically spend the whole of it in my bed. I just want a bit of 'me' time. 2. 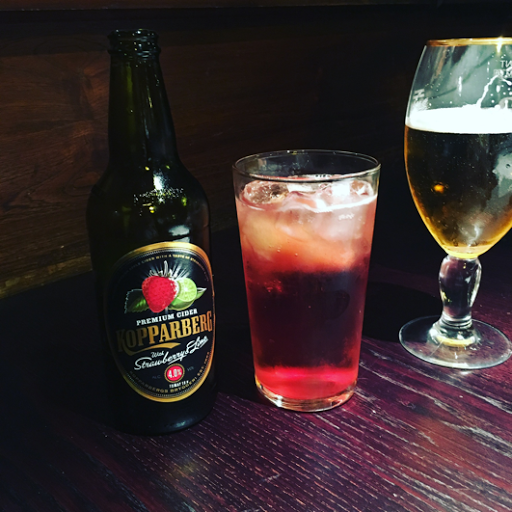 I'm looking forward to having a nice cold Kopparberg with my boyfriend to celebrate surviving another week; I've found that the best way to keep positive to have small, realistic goals that keep my head propped up on my shoulders. 3. I've finally nearly finished a book that I haven't been enjoying and I'm so excited for it to finally be over with. The problem is I hate not finishing a book once I've started so I need to keep going. 4. This week I've actually taken th plunge to join the gym so I'm on the way to starting more exercise, which will hopefully clear my mind and help me feel better about myself in general. I'm actually proud that I even bothered to sign up to a programme. 5. This is a small, but fairly uninteresting positive thing; I'm actually really happy with where my blog is going right now and I'm genuinely enjoying finding opportunities to be creative and share my opinions on my own little corner of the internet.